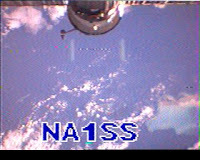 Reports from S. Africa (ZS6TW) and Florida (W5DID) indicate that SSTV images of the inside are being transmitted today. 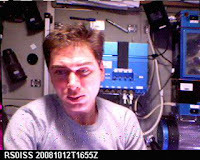 A note is visible in some shots with other images showing the Expedition 18 Commander, Mike Fincke. 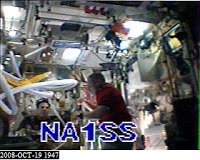 The following image is from WB9IIV. 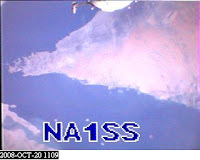 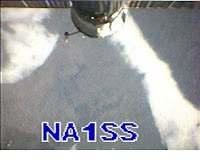 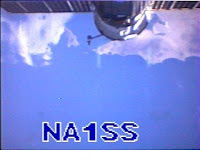 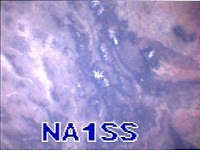 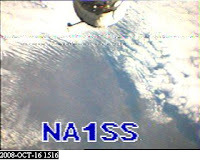 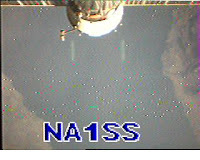 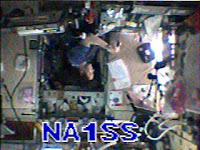 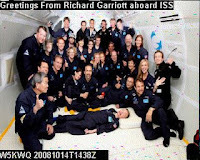 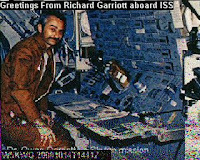 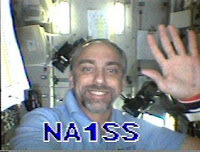 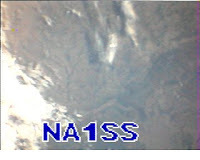 The ISS was sending SSTV images using the VC-H1 today. 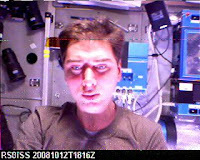 Images included some shots of the Earth and of the crew. 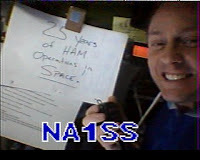 Expect more SSTV imagery occassionally over the next few weeks as the crew celebrates 25 years of ham radio operators being in orbit. 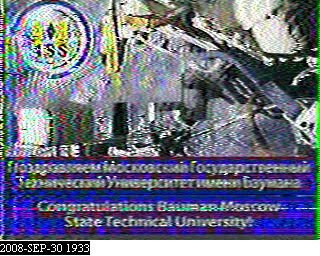 If you wonder what SSTV sounds like, here is the audio file that was transmitted from SuitSat-1. 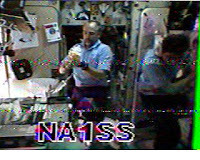 Here is what the image looks like (Valery Korzun installing an amaterur radio antenna on the ISS during Exp 5) if you decode the transmission (MMSSTV was used in this example).